The Congress party today has alleged that former Karnataka CM B.S Yeddyurappa paid Rs 1,800 crore to the central BJP leadership, judges and advocates to clear off his name. 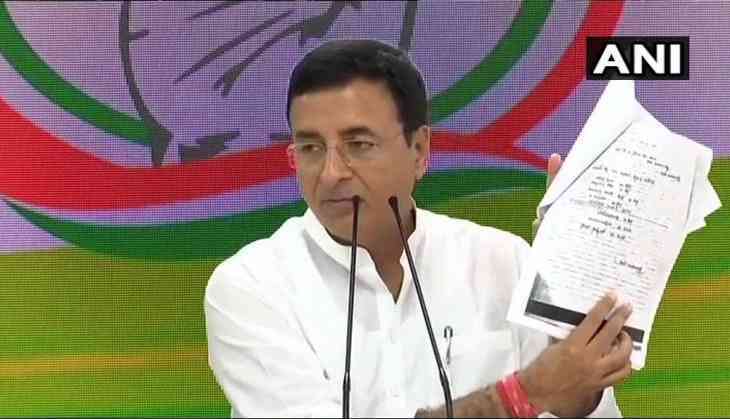 Today, in a press conference by Congress spokesperson Randeep Singh Surjewala, the party claimed that “It mentions names of senior BJP leaders from Rajnath Singh to Jaitley. There is an allegation of bribe of Rs 1800 crore on the top BJP leadership,” while showing the papers from the purported diary.